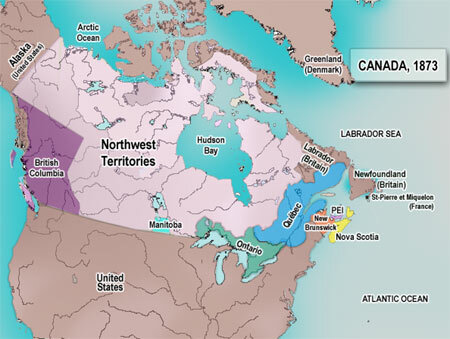 The Confederation project made sense only if it was extended west to cover the whole continent. 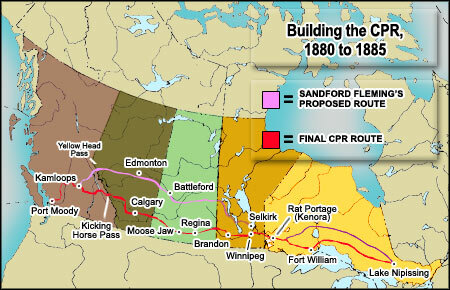 Confederation included the hope of creating a transcontinental economy, and the Dominion needed to move fast to prevent an American takeover of the rich western prairies. 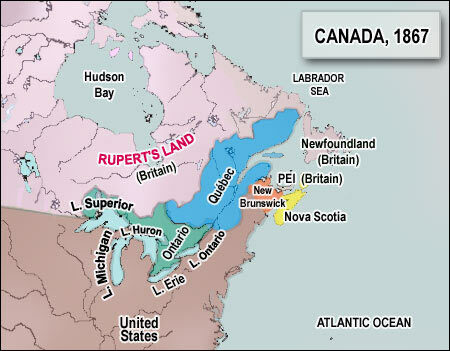 The land was owned by Britain but was managed by the Hudson’s Bay Company. The only settlement was a little town on the Red River (the future Winnipeg) where lived 10,000 Metis (descendants of fur traders and Indian mothers) and about 2,000 settlers and traders for Britain, Canada and the US. 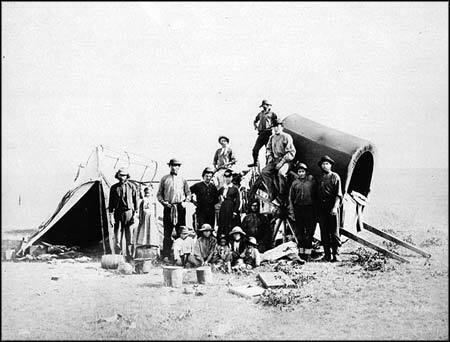 The Hudson’s Bay Company was willing to sell the land west as far as the Rockies and north as far as the Artic circle to the Dominion for $1.5 million. The problem, however, was that the Metis were afraid of the impact of future white settlers on their way of life. 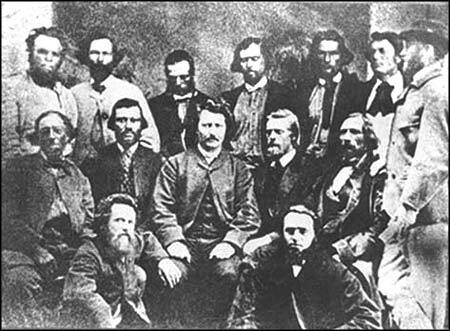 They regrouped behind Louis Riel, a Metis lawyer, to form their own government, demanding the creation of a province, protection for the Catholic religion and the French language, and Metis ownership of their land. 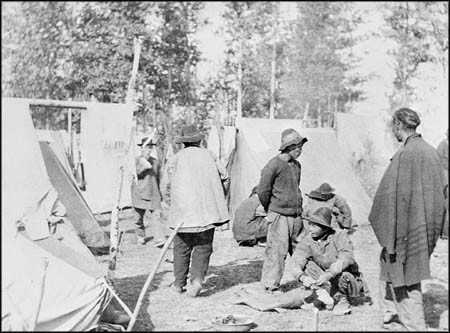 The opposition of the Metis led to two rebellions, in 1870 and 1885. 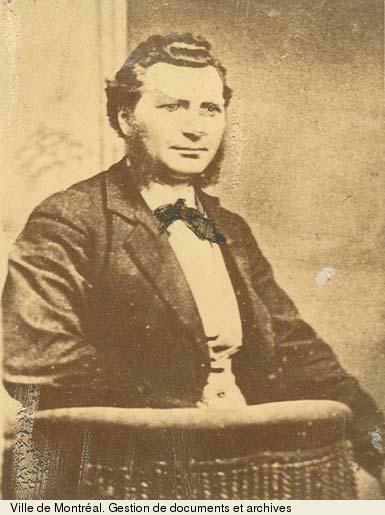 Riel was hanged after the second rebellion, but the Metis' goal was partly reached with the creation of the province of Manitoba in 1871. The provinces of Saskatchewan and Alberta were created in 1905. The Dominion also negotiated the acquisition of the colony of British Columbia, peopled by 10,000 whites and 25,000 Indians. 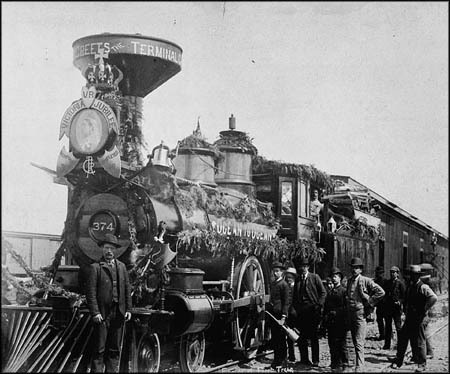 British Columbia agreed to join the Dominion in exchange for the construction of a transcontinental railway and the payment of the colony’s debts. British Columbia was integrated in 1871. Prince Edward Island joined in 1873. In the period following Confederation, the Dominion experienced major economic difficulties due to the repudiation of Reciprocity Treaty with the US in 1864. After Sir John A. Macdonald, Conservative and the first PM of the new Dominion, lost office in November 1873 due to a financial scandal, he elaborated a protectionist economic program named the National Policy that helped him regain power in 1878. 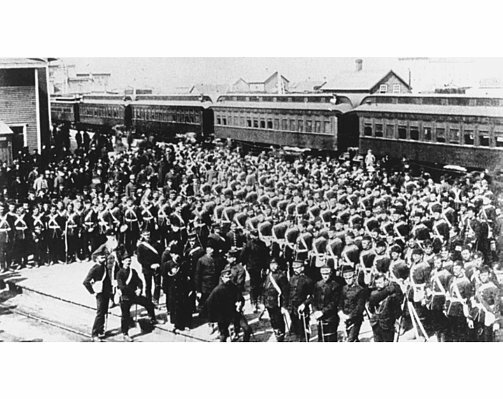 The National Policy included a high tariff to protect Canadian industry; a strong immigration policy and a Homestead Act to people the West and bring it under cultivation; heavy state investment in railways to build a national market. At first, the National Policy was slow and costly, but little by little it had some results, especially regarding the occupation of the west, whose consequence was the 2nd Metis rebellion in 1885. In turn, the rebellion caused a conflict between Quebec and Ontario: the French Canadians felt that the Metis were oppressed because of their religion and language ; meanwhile English Canadians saw Quebec's support of Riel and the Metis as an attempt to build a French Canadian West. When Riel was hanged, there were riots in Quebec and threats of separation by Quebec Premier Honoré Mercier. Hence by the late 1880s, Canada appeared very fragile, both politically and economically. This explains the emergence of the annexation movement, best defended by historian Goldwin Smith, who argued that Canada would be better off if it joined the US. The Liberal party under the leadership of Wilfried Laurier proposed a free trade treaty in the US. 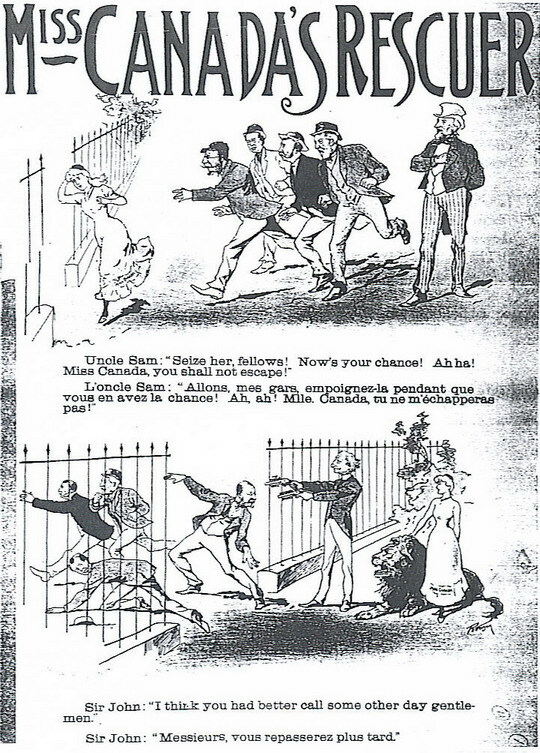 Conservatives opposed it and won the 1891 federal elections by appealing to loyalty for the Empire and anti-American sentiment, feelings encapsulated by Macdonald's famous phrase: "A British subject I was born, a British subject I will die".